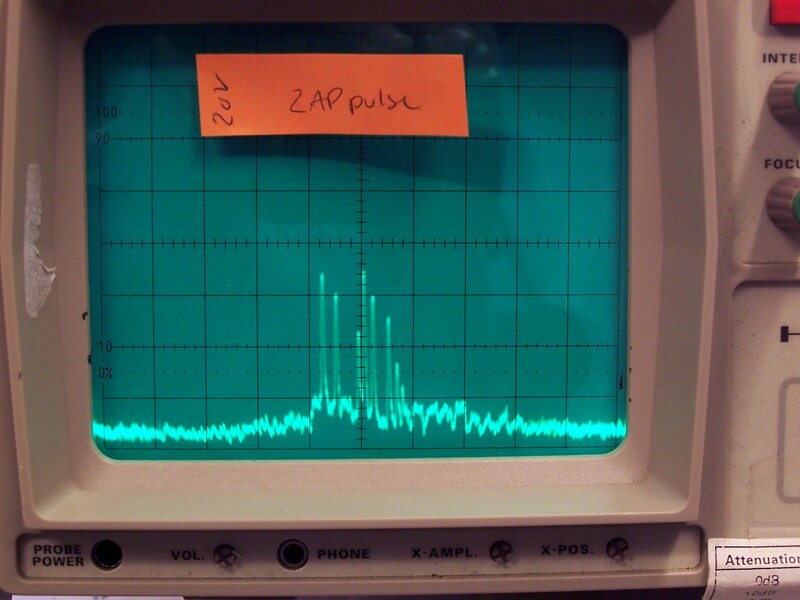 How to make an RFI compliant amplifier using ZapPulse. 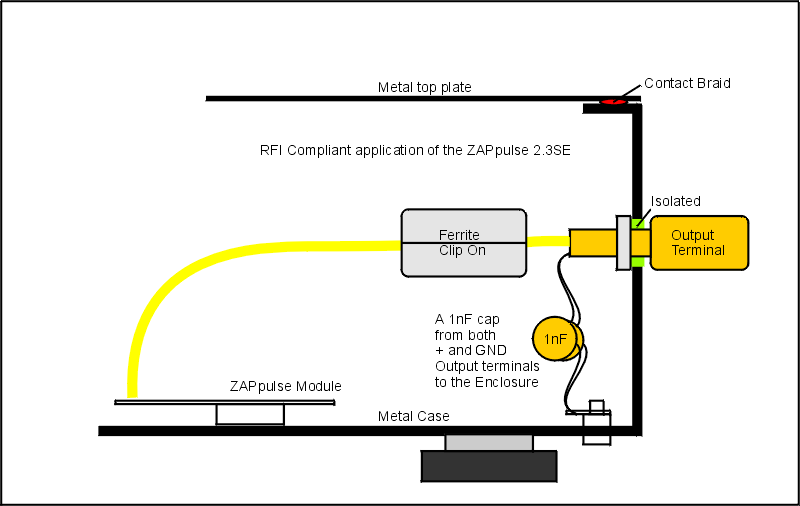 The ZapPulse 2.3SE modules have very low RF emission. Normally you can use ZapPulse 2.3SE modules just like any other type of amplifier, and not experience noise problems with radio reception etc. However some precautions must be taken in order to make an RFI compliant amplifier, that will be able to meet regulations for approval. These rules are very strict, and ensures no piece of equipment will interfere with others. We take precautions to meet these regulations, and especially for OEM production, compliance should be taken very seriously. We can not give you a bullet proof method of doing this compliance work, as it does require optimization in t he RFI lab, to make an actual approval compliance. It should be mentioned that it is not required the DIY equipment meets approval standards. As the actual compliance depends on factors like enclosure material, placement of wiring etc, we can not guarantee the shown method will make your amplifier 100% compliant to approval standards for conducted EMI / RFI, again this work requires actual measurements in the RFI lab. 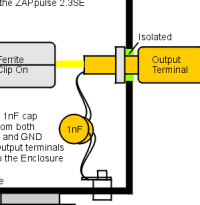 If you are going to produce RFI compliant amplifiers using ZapPulse modules, the shown rather simple tips should get you very close to meeting requirements. 1..Use a metal enclosure. It does not have to be magnetic active metal, stainless or aluminium will shield sufficiently. 2..Use a filtered mains inlet, we can recommend Schaffner FN9260-6/06 or equal. 3..Use a ferrite tube to capture stray magnetic induction noise going to the speaker cables and input terminals. Place close to terminals. 4..Mount Enclosure coupling caps (1 nF ceramic disc type) to decouple stray RFI from the internal wiring to the enclosure. The following emissions are measured using a current coupling transformer on the speaker wires. 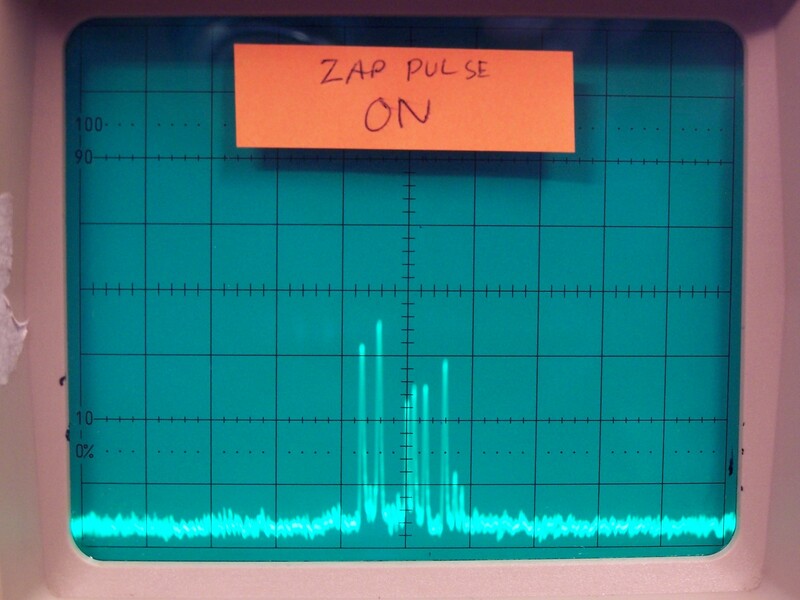 The load is a 4 Ohms simulated speaker load (RCL network). Left side of the screen is 50 MHz, right side is 150 MHz. 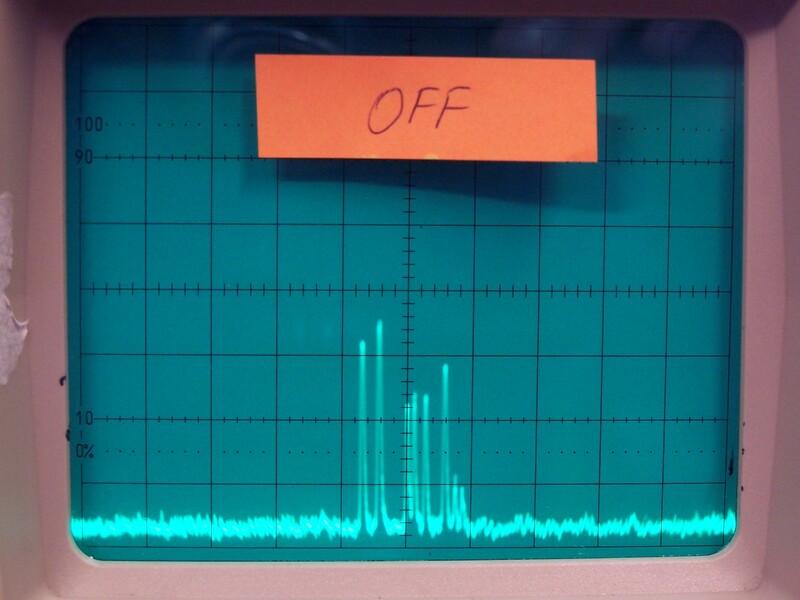 Outside these boundaries nothing happens within the spectrum analyzer's working area from 2 to 1000 MHz. The speaker wire is standard 2 m long, and the current transformer was placed 1 m from the test subject. Ref level is 3 uA RMS is on the second div from the bottom, the fourth div is 30 uA RMS (10 dB / div). A faradays cage was not used, so spikes from the available national radio stations are seen on every measurement. Background noise The test subject was switched off, for reference. Idle running noise The test subject was switched on. 25% output power This emission level is consistent with emissions at 10% to 100% power loads.